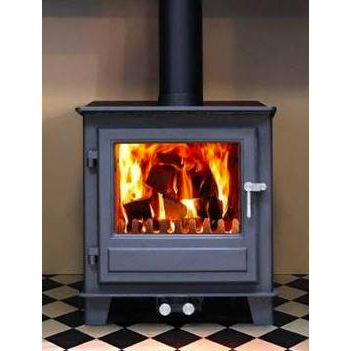 The following stoves are some of the most popular on the market. We have added some pros and cons based on our own experiences. Remember, we’re not limited to brands. 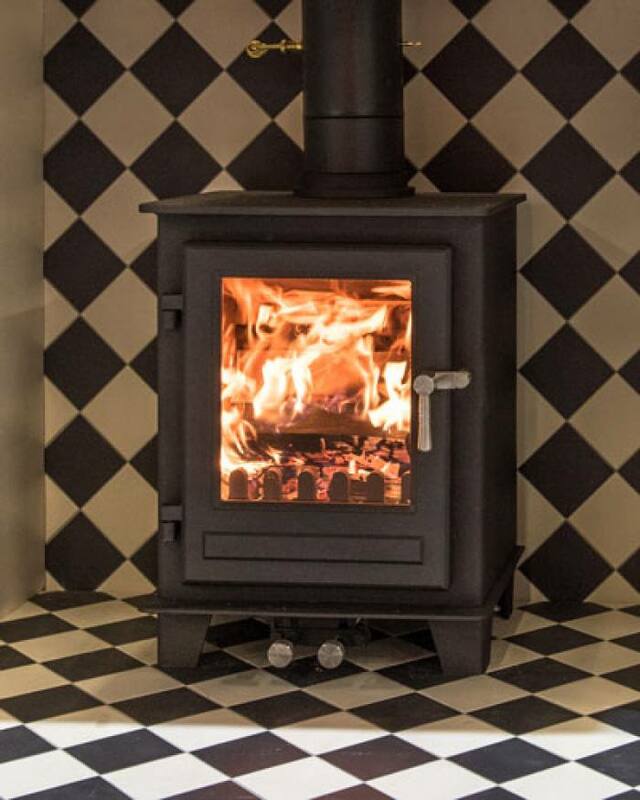 We can source almost any stove! 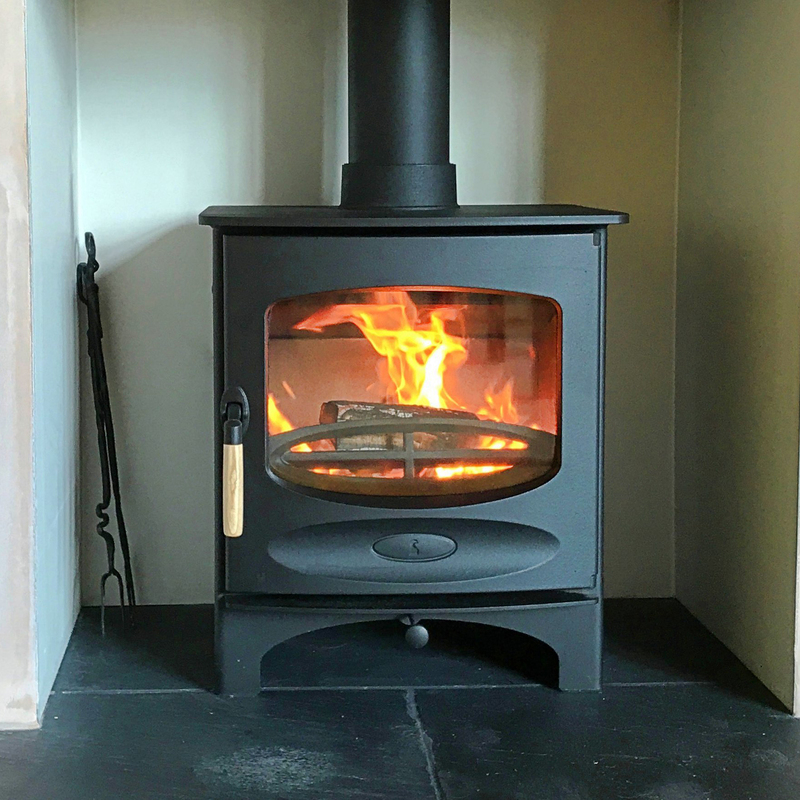 Pros: Great little stove for smaller chimney openings. Multifuel and smoke controlled. Cons: Slightly limited to a 10″ log. Consort 5 has larger log capability. 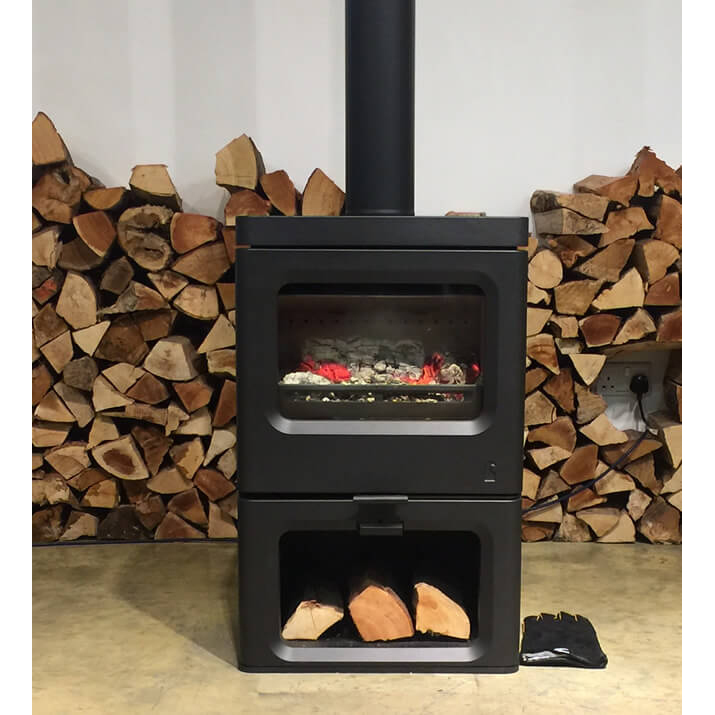 Cons: Multifuel version does push price up and reduces size of logs. Pros: Rugged, well made and built to last. The cleanest glass on the market and exceptional control . Very easy to use. 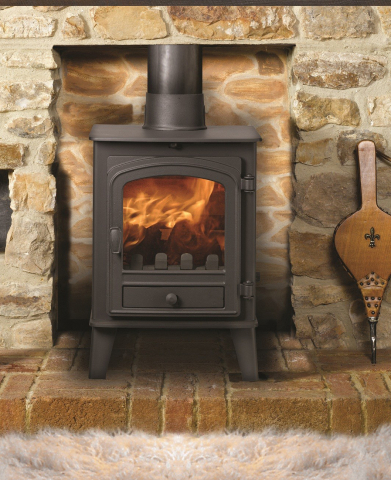 Pros: The most energy efficient stove ever made by Charnwood. Boasting a massive 85% efficiency. 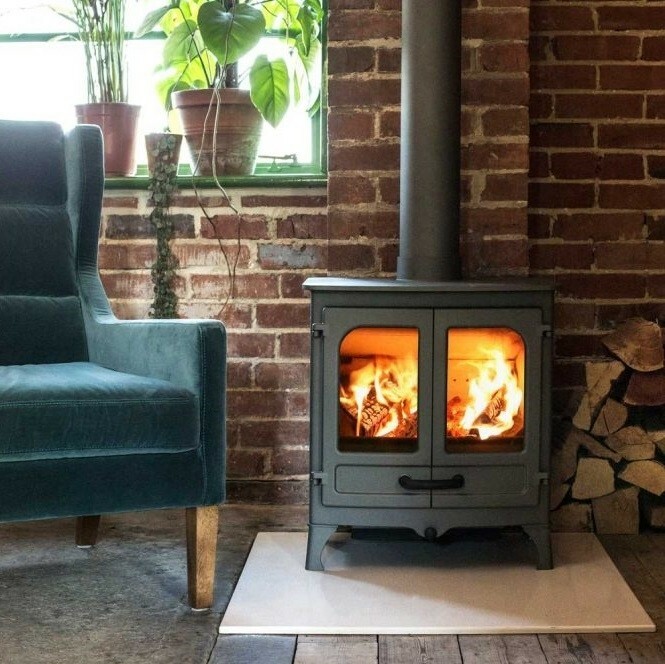 Less pollutants being sent into the atmosphere and less wood being burnt can only be a good thing! 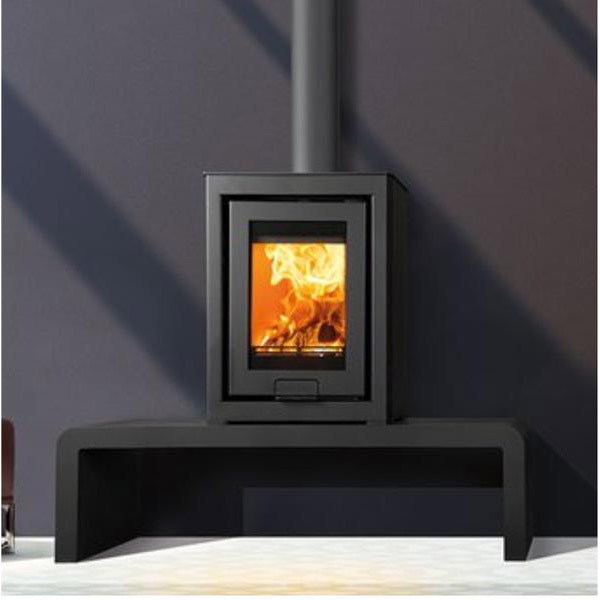 Great stove for more traditional chimneys. Multifuel and smoke controlled. ECO design ready. Stay cool handle and multifuel as standard. 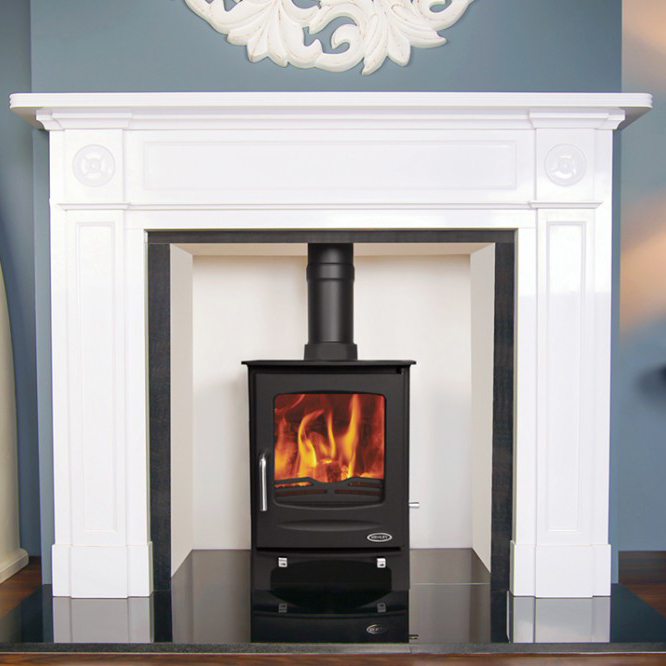 * colour options and a truly unique traditional design with a contemporary slant. Pros: An excellent solid build quality with a large window. 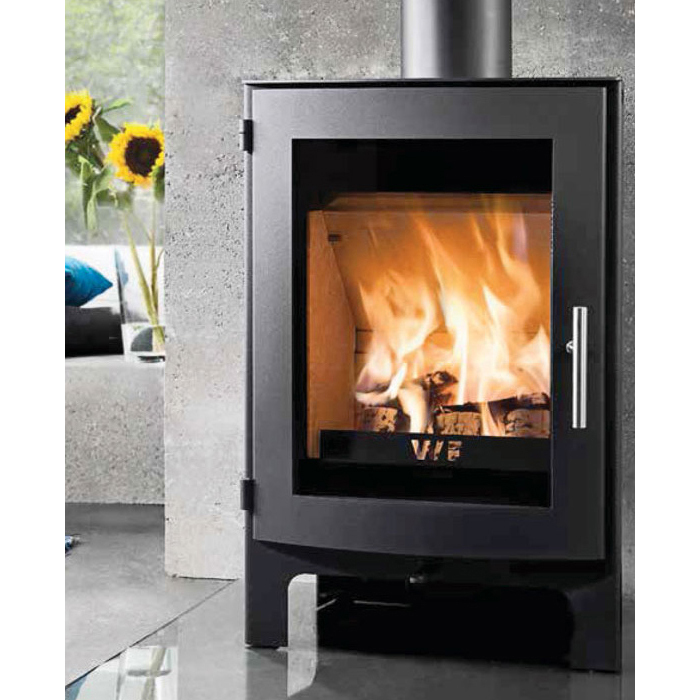 Highly efficient and approved for the 2022 directive as stove has been tested to produce extremely low particulate emissions. 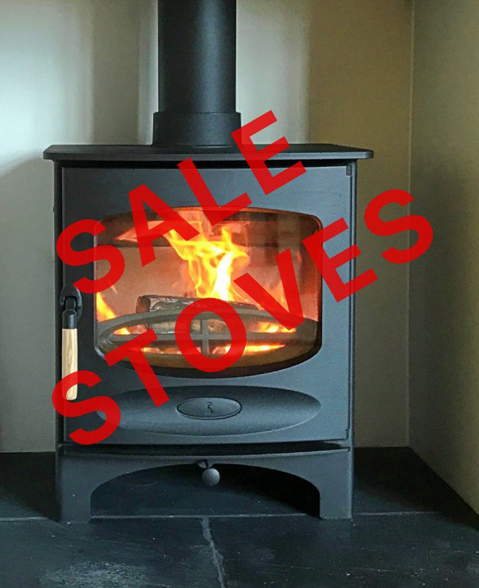 Good value for money stove. Please ask for price! Multifuel capability too. Cons: Smallish ashpan and no options for different colours and handle options. 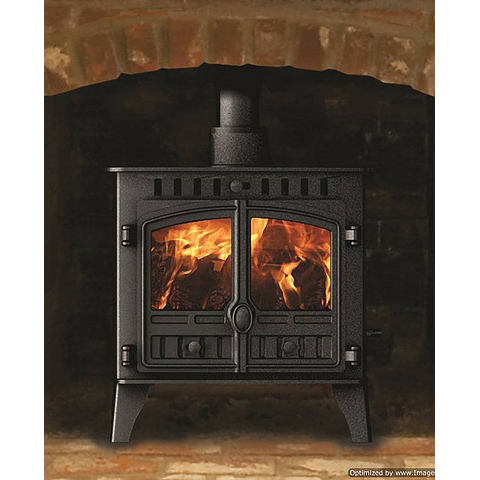 Pros: British made stove by small independent manufacturer. 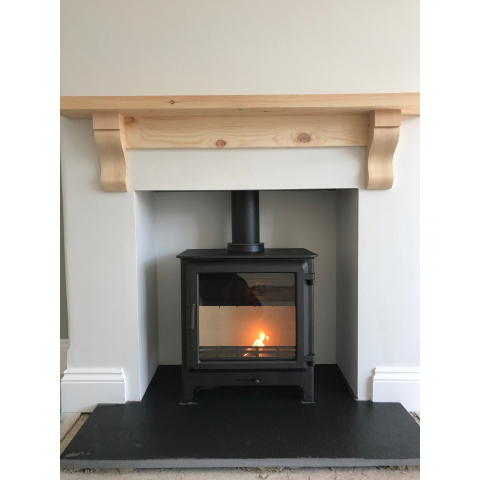 Choice of colours and log store model also available. 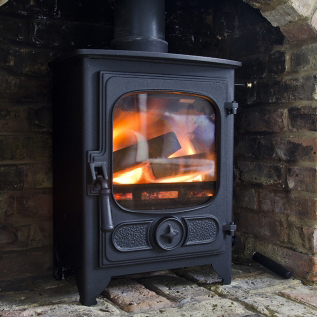 Excellent burn and flame picture and highly efficient. Also approved for ECOI design so future proof. Pros: Very quick to heat up due to steel construction. 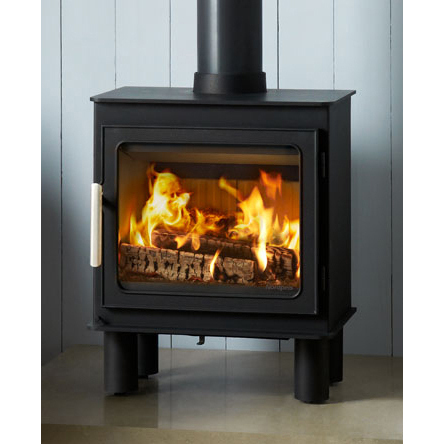 Excellent control for budget stove. Good build quality, large viewing window and great value for money. Very good for smaller openings. Pros: Good build quality, large viewing window and great value for money. Solid internal components and excellent control for the money. Cons: Silver handle not for everyone. Too early for long term performance. as new model. Pros: Very quick to heat up due to steel construction. Nice clean modern design with large viewing window. Good build quality. Very good for smaller openings. Pros: Great value for money. Good sized fuel box and good viewing window. Well established UK brand. Cons: Recommend woodburning use only. Pros: Very well established UK brand made by Hunter. High efficiency with low emissions. Very quick to heat up due to steel construction. Alternative higher output models available. Log store “European” version available. Black or silver handle also available. Pros: Excellent build quality. 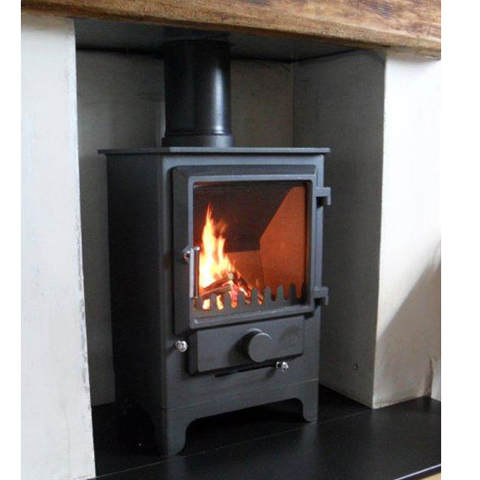 Available in various colour finishes (+£65) UK made stove. Wooden handle doesn’t get hot. Available with log store too. 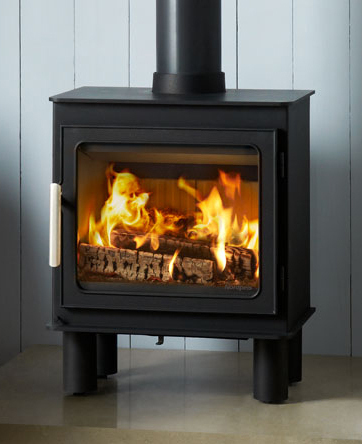 Cons: Multifuel kit does add a lot to the stove cost. Pros: Excellent build quality. 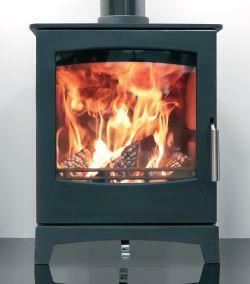 Available in various colour finishes (+£65) UK made stove. Single control to operate. Wooden handle doesn’t get hot. Available with log store too. Pros: Very quick to heat up due to steel construction. Excellent build quality, large viewing window. Also available in Ivory, Metallic grey, and terracotta. Available as log store model too. Pros: Good solid cast iron build. 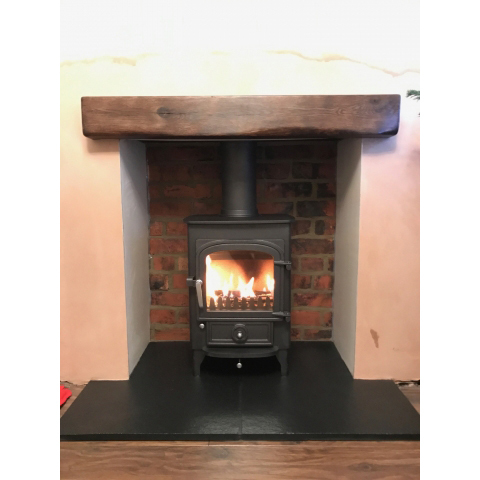 Excellent build quality and great value for money. Great control. Cons: Multifuel only model. Can take a little longer to get to temperature being cast iron. 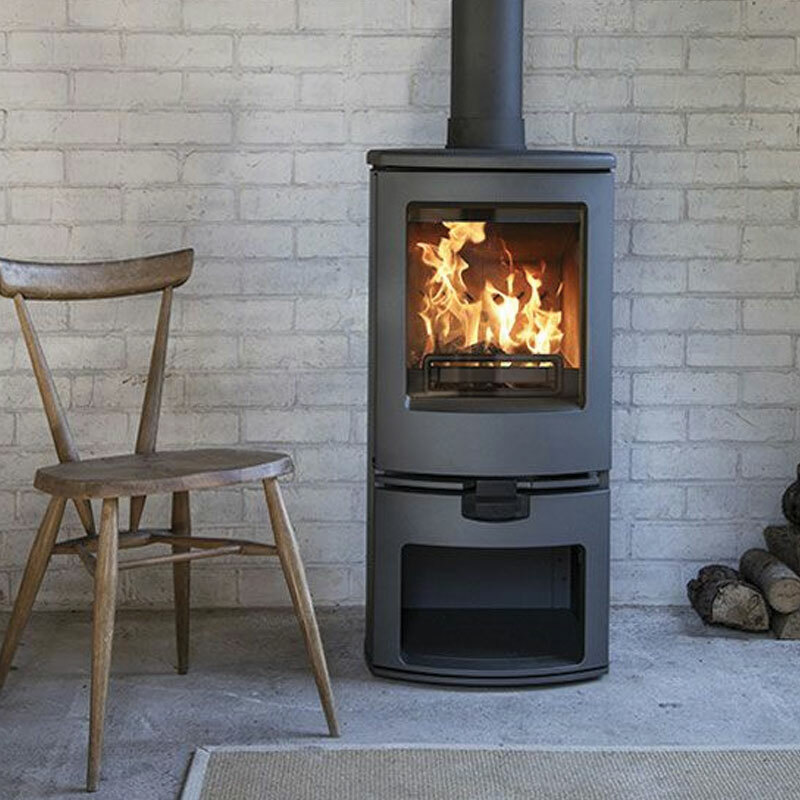 Quite a heavy looking stove. 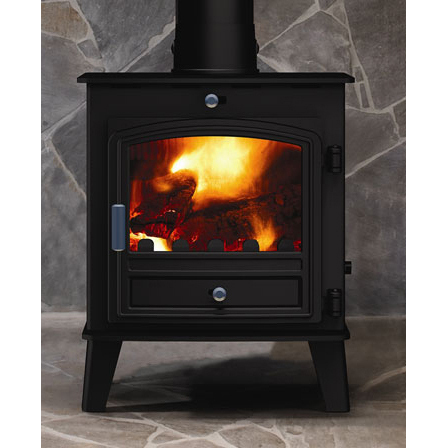 Pros: British made stove by small independent manufacturer. Choice of colours. Excellent burn and flame picture and highly efficient. Also approved for ECOI design so future proof. 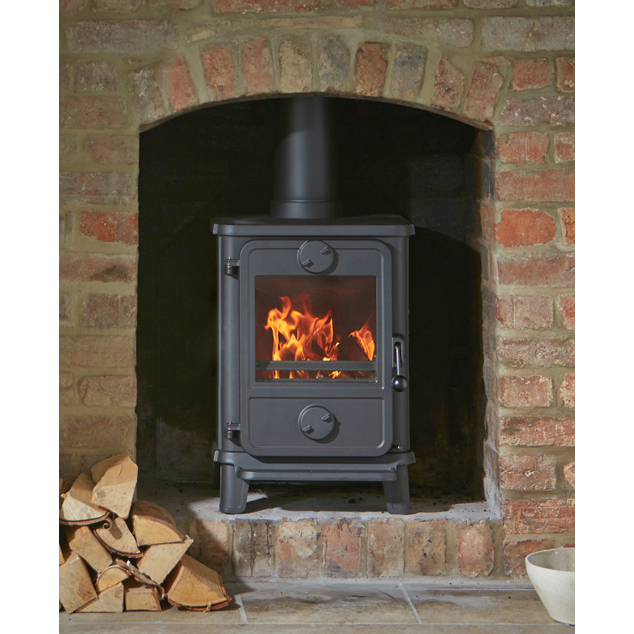 Pros: Another UK stove. 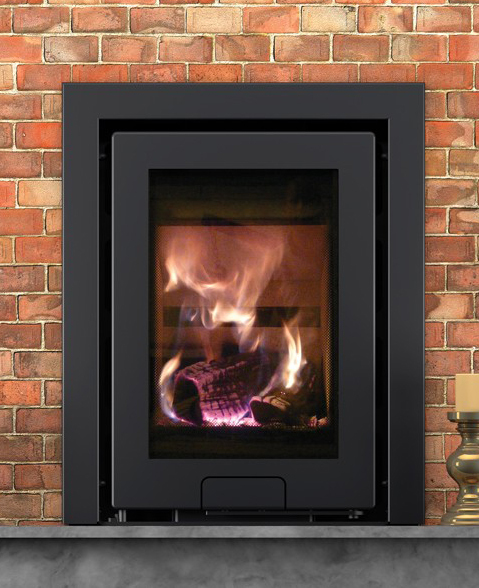 A developed version of the multifuelproducing a very large glass perfect for larger logs and openings where only 5kw is required. Unique RAM system means amazing control and very clean glass. Also available as log store. (+£120) Black, brass or silver handles. 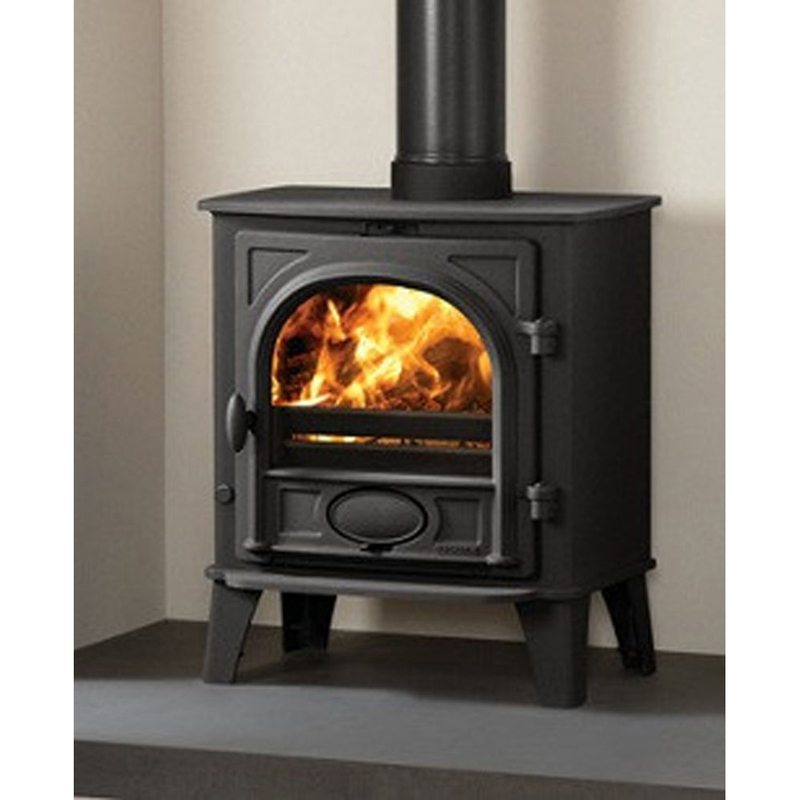 Pros: Another UK stove. 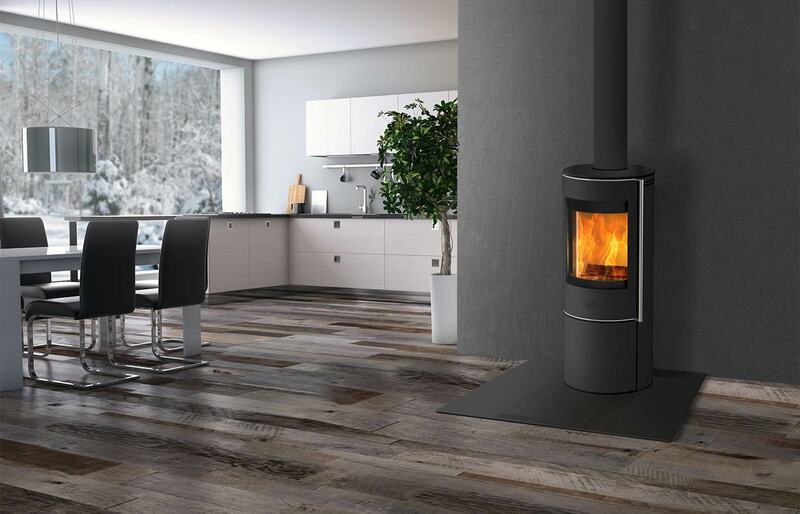 Great contemporary design and large viewing area with strong and sturdy cast iron door. Excellent control. 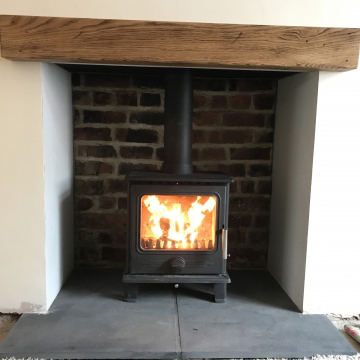 Compact version and wider slimline version also available for larger openings. Cons: No negatives to report as yet. Pros: Recognised and respected brand. 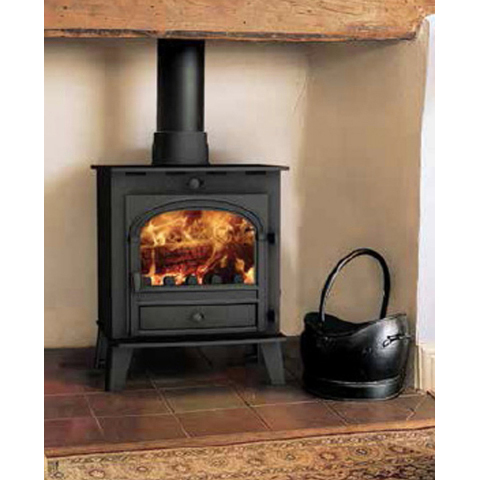 Very good for solid fuel use as good quality cast and steel iron stove can take the heat. Firebricks inside and good quality components. Very easy to use and control and perfect clear glass. Various leg lengths and colours available. Cons: Requires air brick as stove above 5kw output. Requires a larger opening to accommodate the stove. Pros: Very quick to heat up due to steel construction. Slim compact design and multfifuel as standard. Pros: Very quick to heat up due to steel construction. 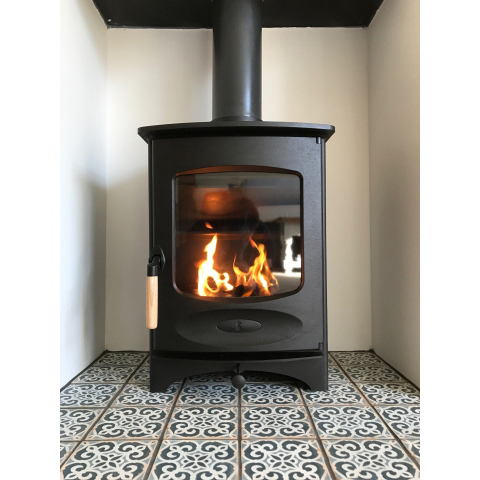 versatile given choice of double and single doors. Cons: Quite wide for smaller openings. 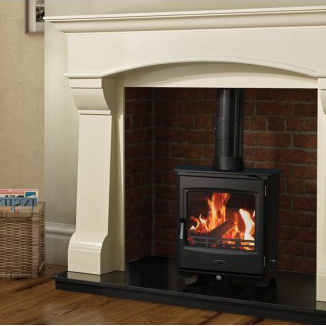 Try the smaller herald 4 as an alternative. Pros: Very quick to heat up due to steel construction. Very wide viewing area good for narrower hearths and/or larger openings. Pros: Very quick to heat up due to steel construction. Nice plain window and good value for money. Well constructed. Alternative higher output models available. Pros: Premium brand and build quality at a low price. 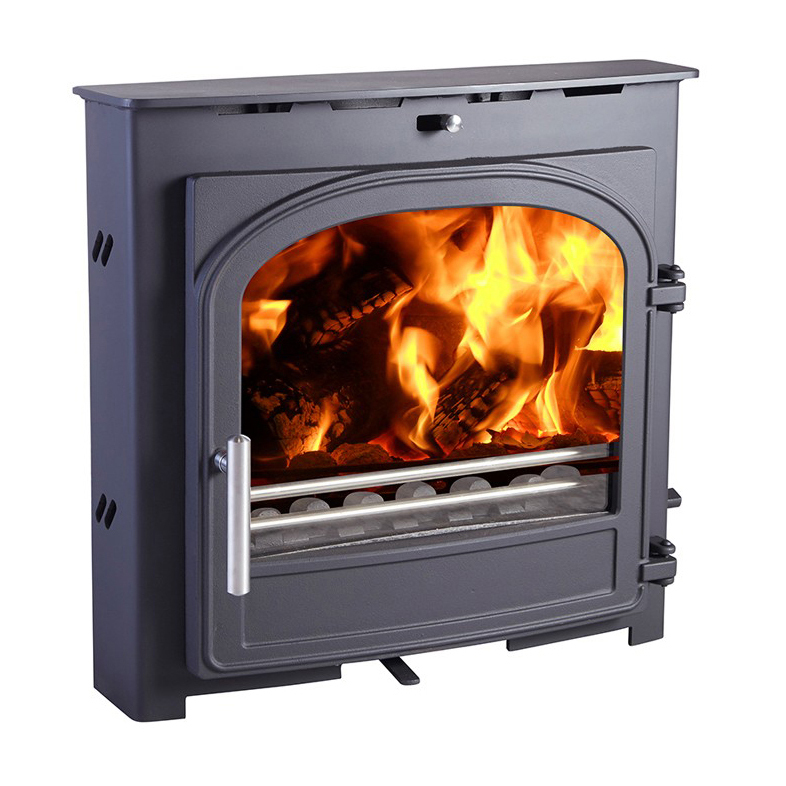 Very rugged and great for long periods of burning. Cons: Not great for shorter periods of heating. Not approved for smoke controlled areas. Pros: Massive window. Great build quality and extremely responsive. Various handle options and various different sizes also available. Pros: Plain and large window. 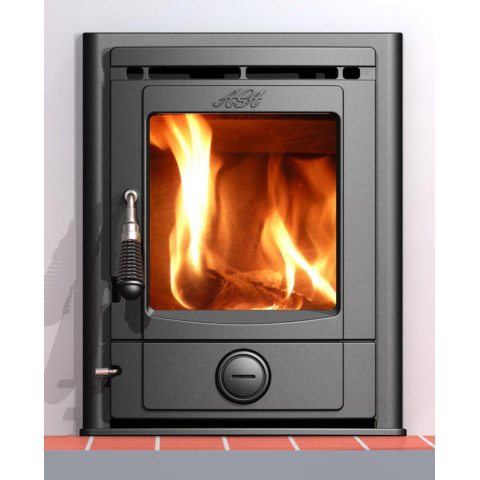 Great build quality and extremely responsive due to excellent control system. Various designs and various different sizes also available. Cons: Legs not adjustable. 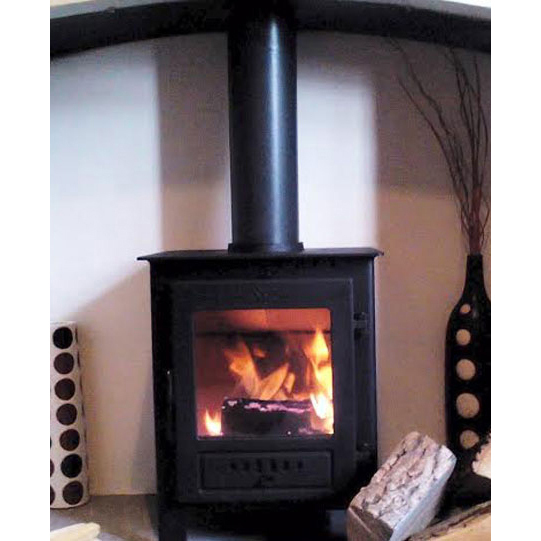 Woodburner only. 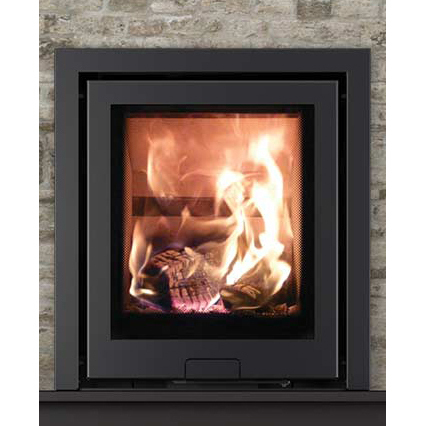 Approved for smoke controlled areas AND ECOdesign ready. Cons: Cast iron can take slightly longer to get up to temperature. 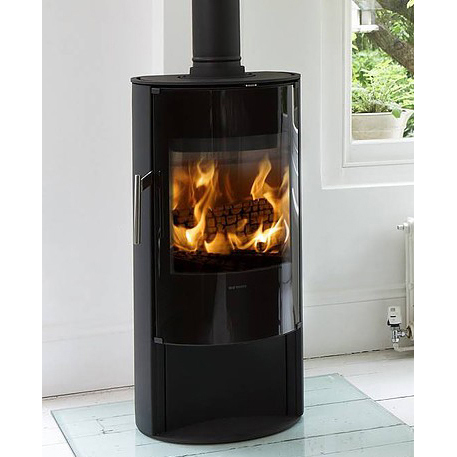 Pros: Very stylish stove with huge viewing window. Log store version available. 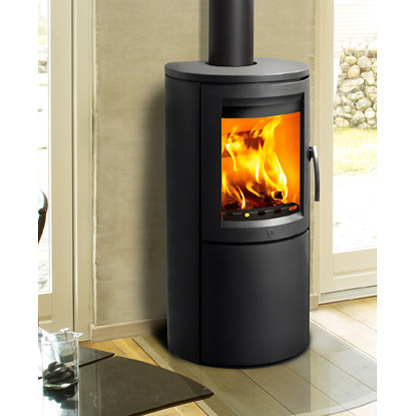 Large stove for 5kw. Cons: Not recommended for use with solid fuel. Firebricks quite expensive. 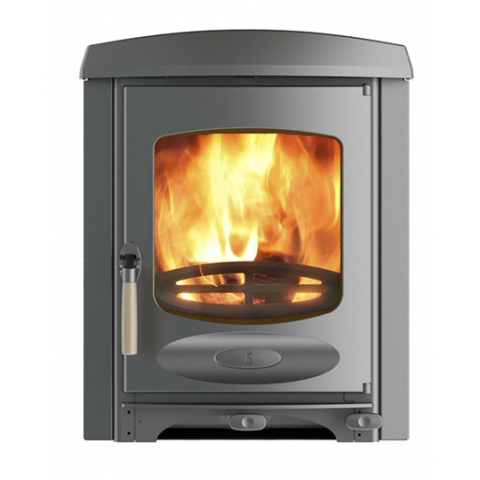 Pros: Great well made German stove at a good price. 5kw so no vent required and approved for smoke controlled areas. 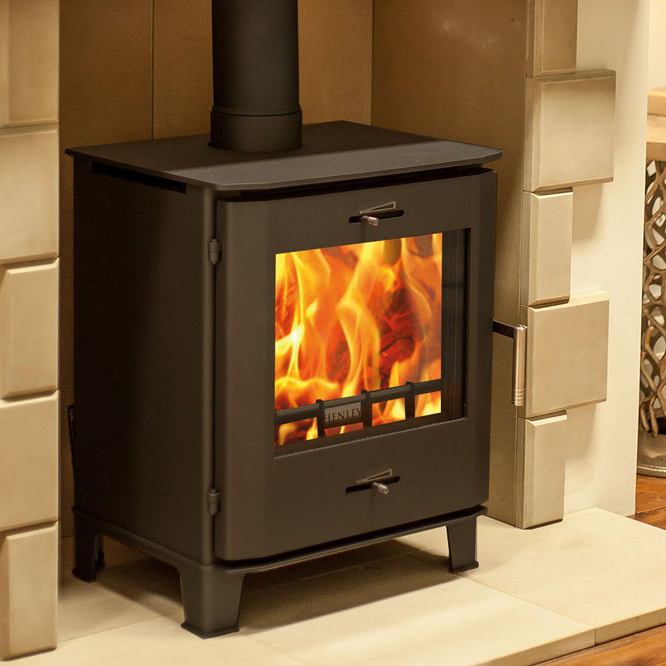 Convection stoves push heat further to heat larger areas. Unique door control is controlled by gas struts so just pull door open and closes automatically. 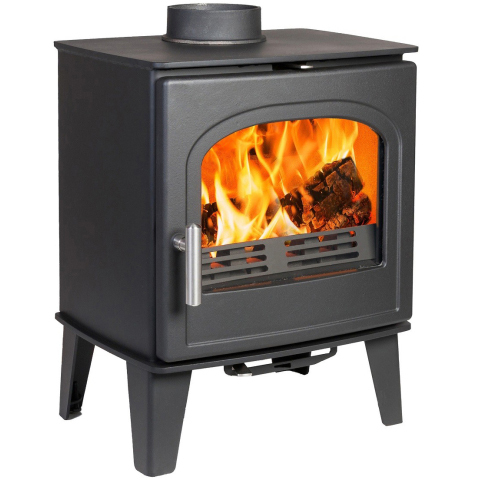 Pros: Great well made stove at a great price. 5kw so no vent required and approved for smoke controlled areas. 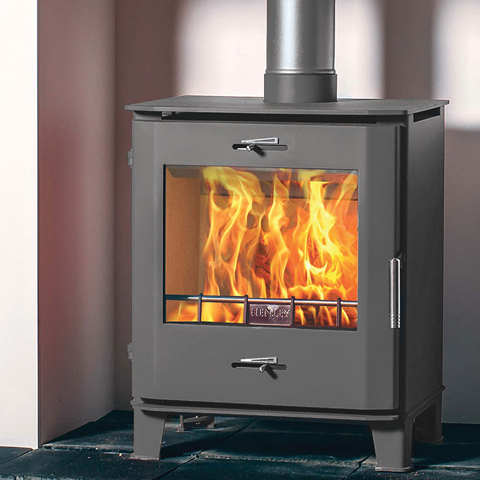 Convection stoves push heat further to heat larger areas. 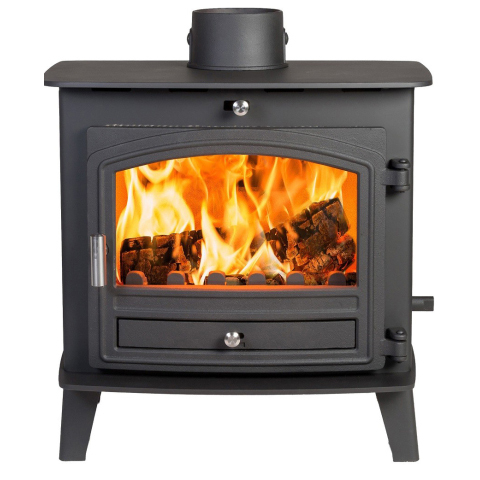 Pros: Premium stove manufacturer but priced well. Massive stove window. Available as wall hung version too. Quite shallow for flat wall installations. 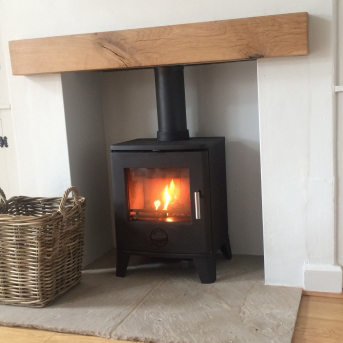 Cons: Woodburner only. Be careful with the glass. Very expensive to replace! 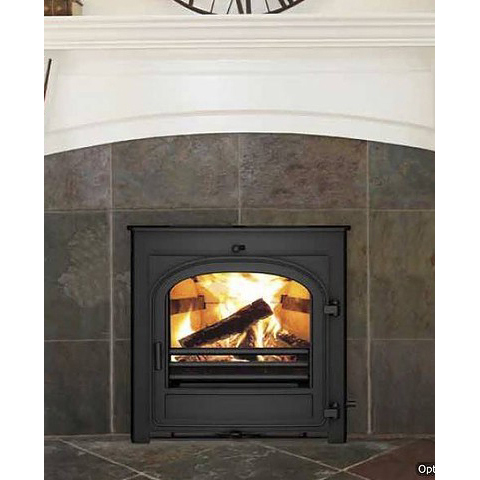 Pros:Cast Iron quality construction and very well priced. Lots of variations and good back as part of Stovax Group. Cons: Not approved for smoke controlled areas. Pros: Excellent value for money. and excellent build quality. 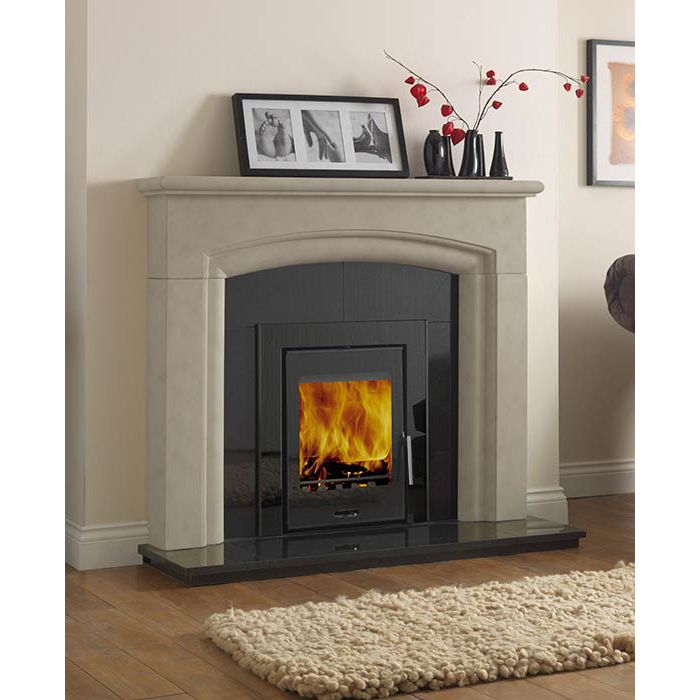 Will fit into almost standard fireplace openings. Cons: Traditional design may not suit everyone. 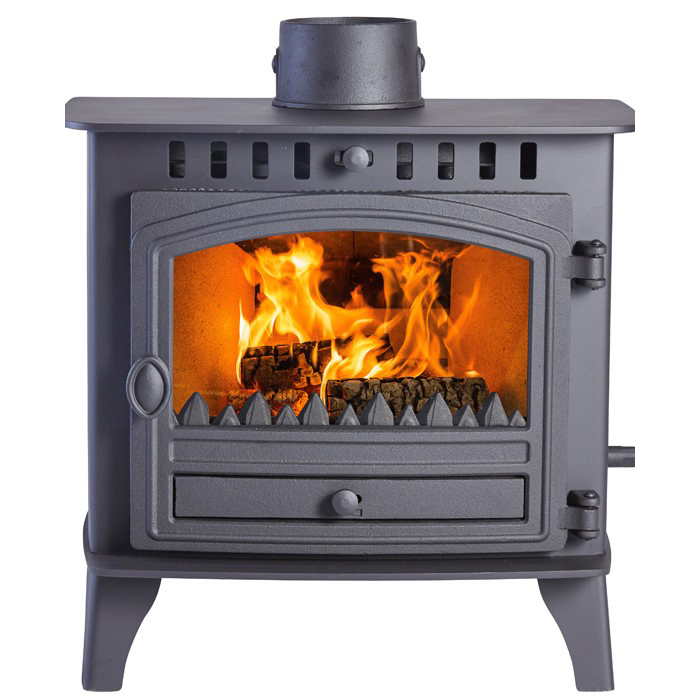 Pros: UK made inset stove. Superior control system. Very sleek and contemporary. Silver or black options. 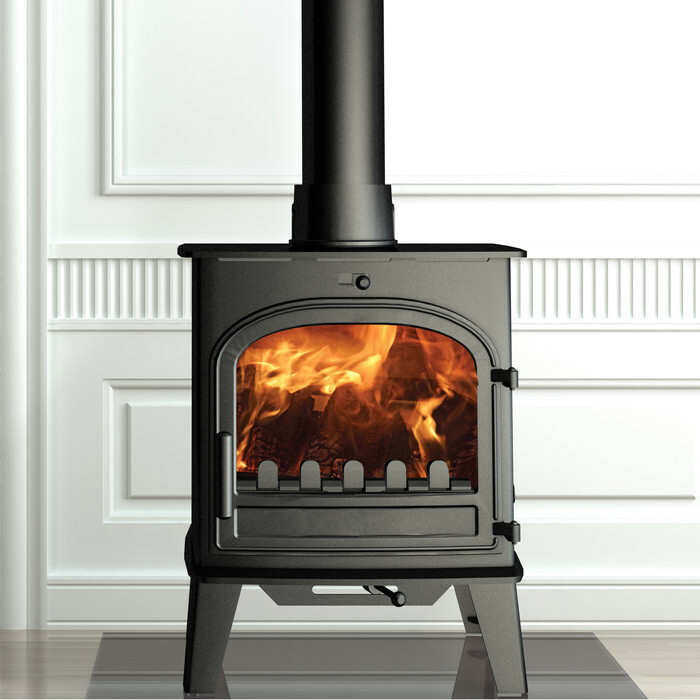 Cons: Premium stove at premium price and woodburning only. 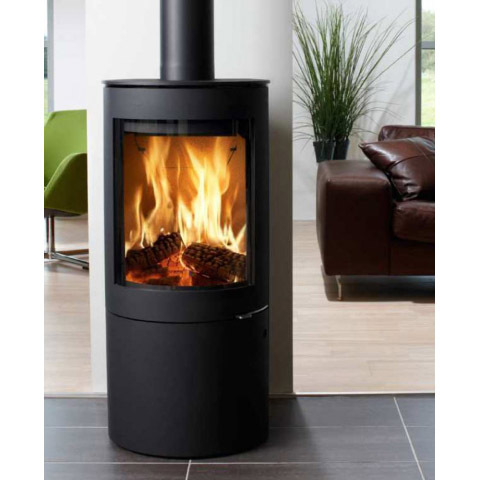 Pros: Very stylish stove with glass frame. 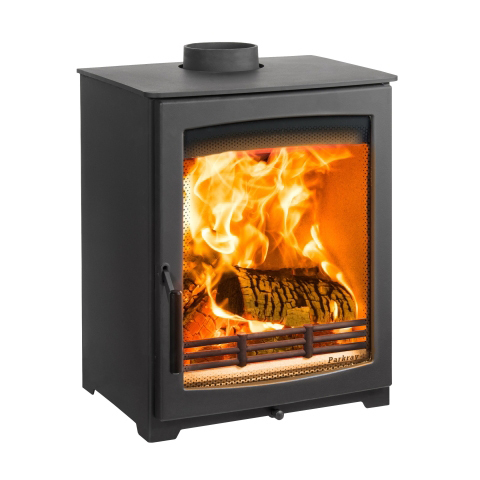 Also available as 8kw version. 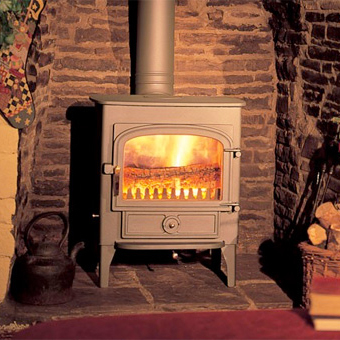 Cons: Requires full depth chimney. Details: Brand new and unused. With full guarantee. 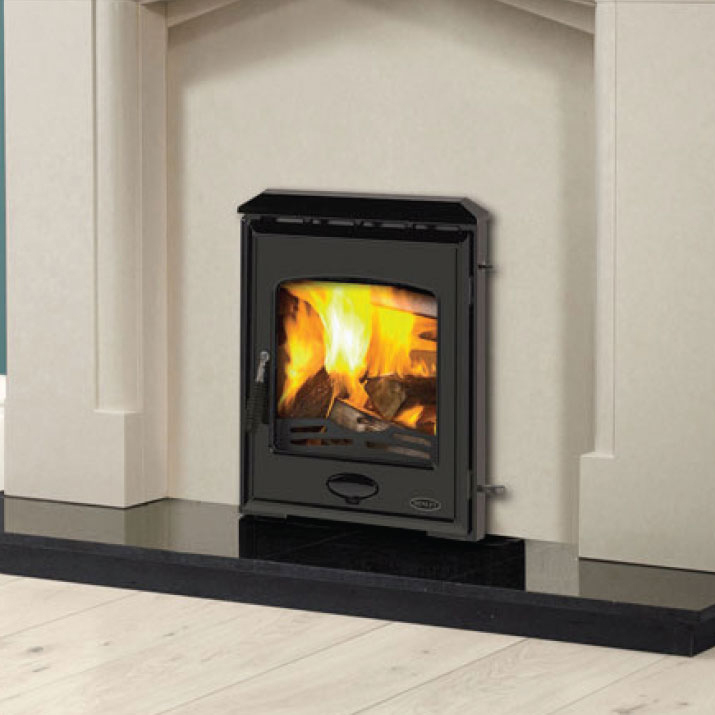 This UK made stove is sold as a multi fuel as standard and is approved for smoke less areas. 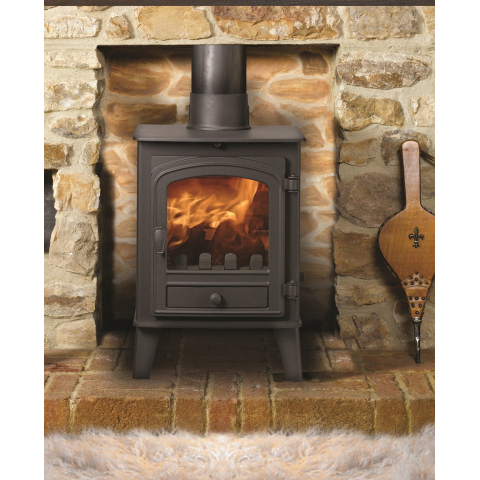 This stove comes in Honey glow brown with matching handle. 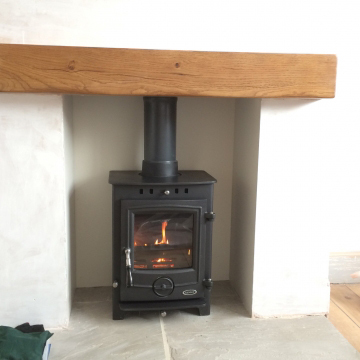 A beautiful colour which looks great in stone or a brick opening with brown stone hearth. Details: Brand new and unused. 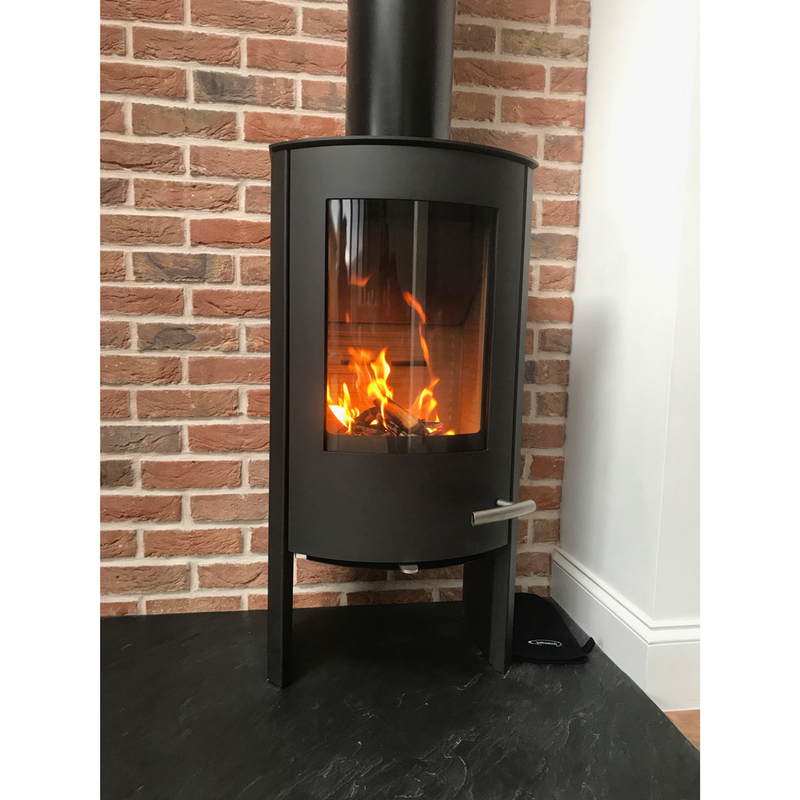 This large contemporary stove has a large viewing area and has a large potential heat output due to it’s size but is still rated at 5kw so does not require ventilation. 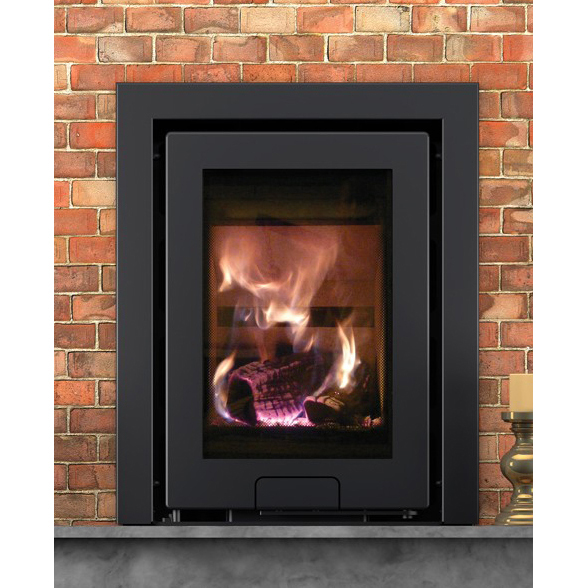 High quality stainless steel components give this stove a very high end appearance.